Explore the natural rock formations, wildlife, and lighthouses of Mackinac Island, Mackinaw City, St. Ignace, Round Island, and Bois Blanc Island on a guided tour. We are dedicated to giving you the best possible experience of the Straits of Mackinac, and the surrounding islands. We provide a safe and comfortable environment, as well as the unique privilege of navigating the Straits in your own vessel, with a local guide to show you all of the best sights. Our Red Cross certified guides will give you the best view of the water and the Islands. They have been kayaking the local waterways for over 20 years, guaranteeing a safe and rewarding tour every time. They are filled with knowledge and passion for paddlesports, gear, and the local area, and adept at supporting all ages and skill levels. Our gear is top notch! 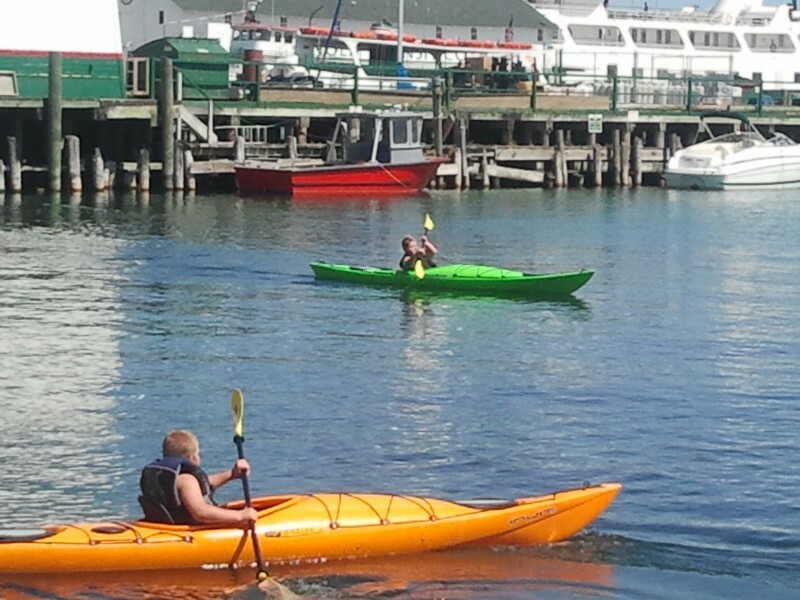 Our rental kayaks (by Liquid Logic, Native Watercraft, and Paluski) and stand up paddleboards (by Malibu and Imagine) have been carefully selected for the Straits of Mackinac to provide you with the most comfortable, stable, and secure environment. We offer a perspective of the beautiful Islands and Straits of Mackinac, that can only be experienced thru immersive watersports.